The Octagon made its debut in Germany on Saturday night at UFC 99, and the numbers are far from spectacular as only 12,800 screaming Germans packed the 20,000 seat Lanxess Arena. Although the attendance wasn’t spectacular, I’m sure the $1.3 million live gate helped ease the pain. The UFC was fighting an uphill battle from the get-go as there was no broadcast deal set in Germany until just four months ago. 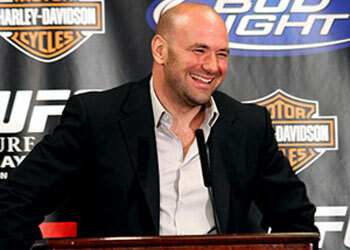 So from that standpoint, it was a solid night for the world’s largest MMA organization. It was not reported how many of the 12,800 tickets were issued as comps by the company. The Germans were treated to a 12-bout fight card, headlined by a 195-pound catchweight scrap between former UFC middleweight king Rich Franklin and former Pride FC champ Wanderlei Silva. Although Franklin took a unanimous decision, his victory was far from convincing. In fact, many, ahem yours truly, believe that Wandy took that fight, but was robbed when Franklin scored a worthless last-second takedown in the final round.